When you think about low back pain, the last thing you probably consider is your upper spine, but a misalignment of the topmost vertebra in your neck might be the source of your problem. 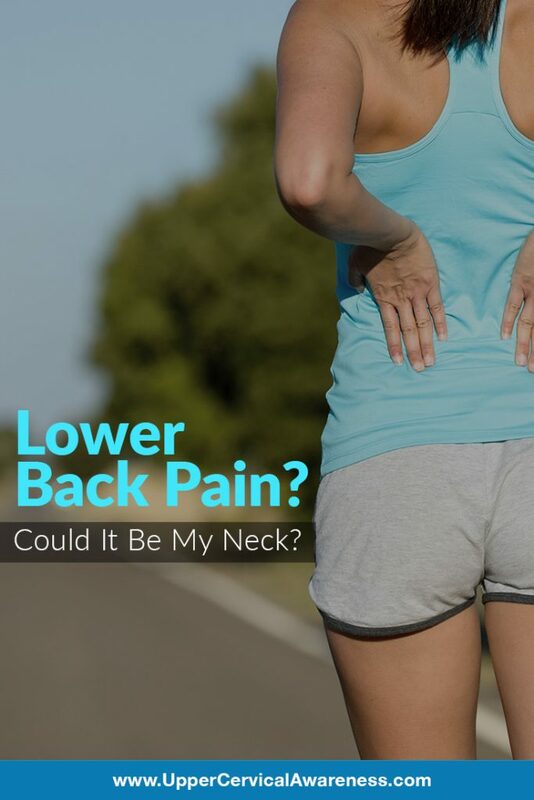 Can My Neck Be Related to My Low Back Pain? When we look at the spine and back-related pain, it’s important to understand that the spine works together as a unit. One of the major functions of the spinal column is to provide a protective shell around the delicate tissues of the brainstem and spinal cord. The brainstem and spinal cord are constantly relaying signals to and from your brain to every single part of your body. The atlas vertebra, which sits at the very top of the neck, is the most freely movable, which also makes it very likely to suffer a misalignment. When this happens, it can disturb the normal passage of signals traveling over the nerves. This can lead to postural imbalances, muscle spasms, and pain. One of the most common ways we see an atlas misalignment causing lower back pain is through these muscle and posture imbalances. Muscle tension can abnormally increase on one side of the body, causing one hip to be higher than the other. This can cause one leg to appear shorter than the other, and over time, this can easily cause pain and discomfort in the low back. By correcting the alignment of the atlas, normal brain-body signals can be restored so that these muscle spasms and imbalances can resolve naturally. This can lead to the reduction of postural imbalances and eliminate the underlying cause of your lower back pain.